Xtreme Dancers, South Cotabato's premier dance group will once again carry the Philippine Flag and join top dance crews from all over the world for the 2017 World of Dance Finals to be held this Saturday, July 22 at the Pasadeña Convention Center in California. In a post on Wednesday, July 19 at their official page on Facebook, Xtreme Dancers updated their fans that they're now in Los Angeles. 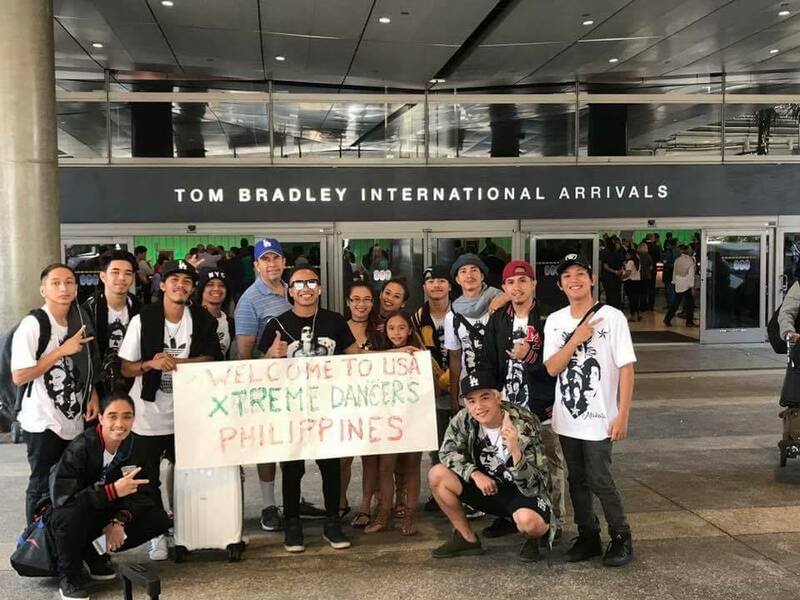 Xtreme Dancers also thanked their supporters for the help extended to the group to be able to compete and represent the Philippines in the World of Dance Finals. Among them is Senator Manny Pacquiao, and key officials in Koronadal and South Cotabato. Going here in LA and represent our country is an honor, but it was never easy. There's a lot of struggles and challenges that we've been thru. However, despite this challenges, we're always hopeful that miracles will happen, and here we are, about to show the World of Dance what we can bring in the stage. This will not be possible without this miracles that God showed us. This miracles are the people who showed their support wether moral or financial. We never expected that there's so much love for us. We just did what we loved and in return people also showed us their love! Founded in 2008, World of Dance is considered as the the largest International Urban Dance Competition with a focus on the art of street dancing and today’s new aged choreography. This year, thousands of dancers and enthusiasts from atleast 27 countries, spanning the United States, Europe, South America, Asia, and Canada are expected to participate. 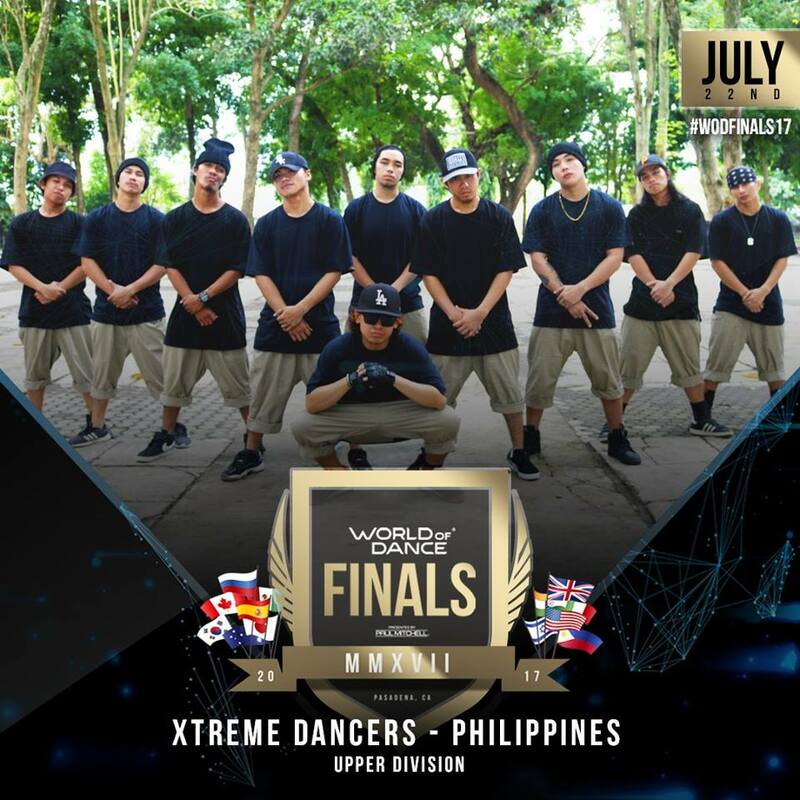 Xtreme Dancers won a ticket in this year's World of Dance Finals after they placed 2nd in the World of Dance - Philippines last March. In 2014, Xtreme Dancers' Macz Alminaza and Jay-r Melody brought pride not only to South Cotabato and the City of Koronadal but also to the Philippines when they bagged the championships at the World Championships of Performing Arts (WCOPA) held in Hollywood, California and the 6th Gatsby Dance Competition Asia Finals held in Tokyo, Japan. Good luck Xtreme Dancers! Make us all proud once again!